Contact Button – allows your followers and viewers to easily reach you directly through Instagram. You can provide a phone number, email, or location here. Type of Business – now your followers can see the type of business directly under your page name. 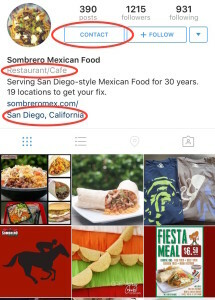 Location – your location is also listed in your profile, making it easy for followers to know where you are located. Insights – using Insights, companies can learn more about their followers, see how your posts are performing and see which posts are doing the most for your business. 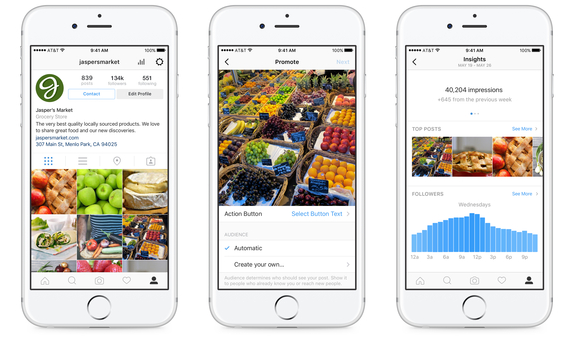 Insights are very important for marketers because this tool allows you to use Instagram to its fullest potential and will allow you to make the most of it in the best ways. For example, one of our clients found that whenever they posted a vintage-style photo, their likes went up significantly. 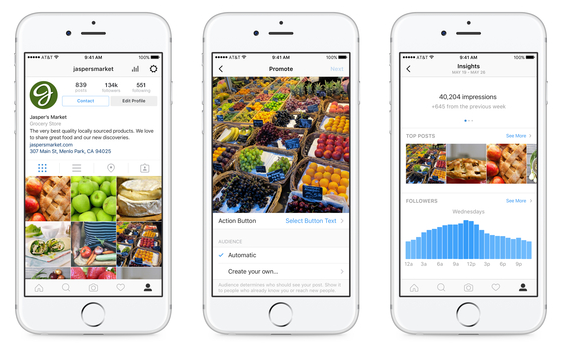 Promotions – Now brands can create promotions directly through Instagram (instead of only offering this feature through Facebook). This will allow you to expand your reach and target specific audiences. . 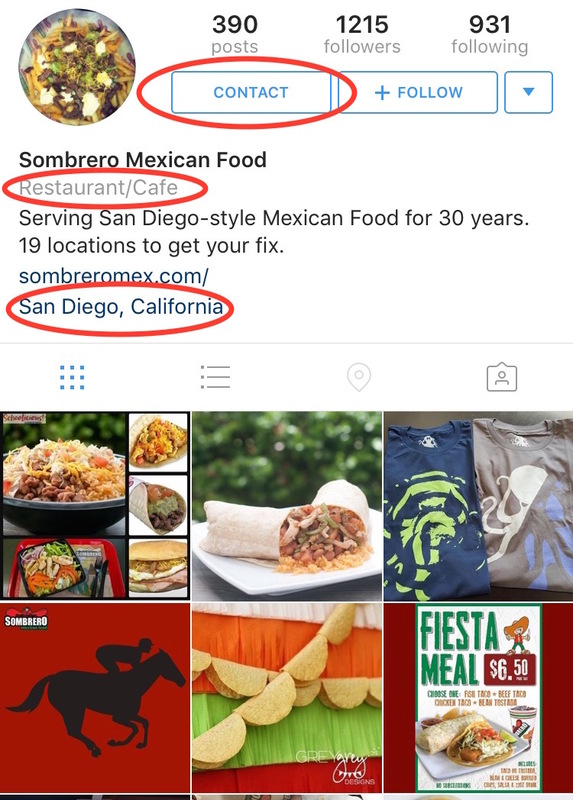 If a post has strong engagement, you will have the option to make that post an ad right within Instagram. You simply choose a post that has already been shared on Instagram, add a button to encourage action, and then either choose a target audience or have Instagram choose a target audience for you to promote the post to. The post will then be seen as an ad by your target audience for the specified length of time. Many companies, bloggers, and freelancers have already switched over to the Business Profiles. How can you do so? Now, go have fun marketing!